Risan is a town in the Boka Kotorska. 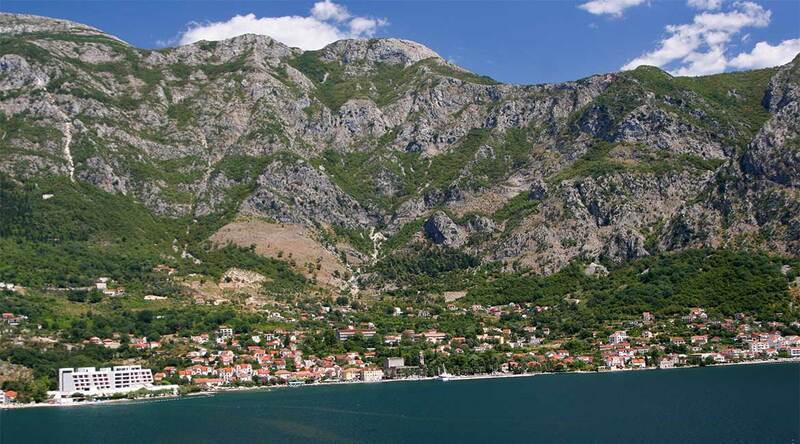 It is the oldest settlement in the Boka Kotorska. Lying in the innermost portion of the bay, the settlement was protected from the interior by inaccessible limestone cliffs of the Orjen mountain, the highest range of eastern Adriatic, and through several following narrow straits in the Boka Kotorska from the open sea. While the Krivošije karst plateau that hangs steep above the narrow shores of Risan bay receives over 5000 mm rain annually, several strong karst springs that form a short brook collect in the narrow cultivable belt at Risan. Today Risan is a small port with roughly 3500 inhabitants. Risan is a tourist destination that has a fine hotel called after its most famous citizen, Queen Teuta, with accompanying fine plages. the coinage labeled “Coinage from the Rhizonian Gulf”, which has been considered as the coinage of an alliance in which Rhizon played a part, in silver and bronze. The chronology of these coinages is still not defined with precision, primarily because the historical background of their issuance remains little known. There is hardly any mention in the literary sources of the town of Rhizon, and none of the king Ballaios. However, several features of these coinages – such as the characteristics of style, elements of inscription and iconography (especially the presence of the title “basileus” on the coinage of Ballaios, and the presence of a Macedonian shield on the “Coinage from the Rhizonian Gulf”), metrology, choice of coined metals, etc. – point to the 3rd and 2nd centuries BCE as the general chronological framework for the activity of the Rhizonian mint and for the successive issuance of the coinages of different issuing authorities there. Formerly the Boka Kotorska was known as Sinus Rhizonicus after the (Greek) name of Rhizon, the leading town in anticity of the bay. Rhizon had also its own protector, a deity called Medaurus, who was depicted as carrying a lance and riding on horseback. In Roman times, Rhizinium is documented as an oppidum civium Romanorum. Two Roman routes led through the Boka Kotorska. The most prosperous time for Roman Rhizinium came during the first and second centuries. 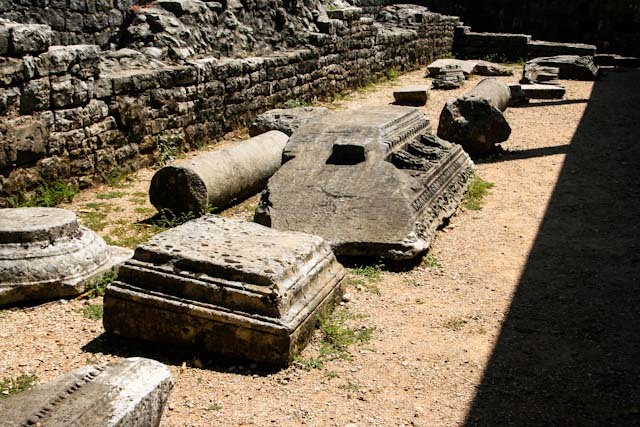 Five mosaics are the most valuable remains of that period – not only for Risan but also for Montenegro. The best preserved one shows Hypnos, the Greek deity of dreams. It is the only known image of this kind in the Balkans. The famous English archeologist Sir Arthur Evans led those initial excavations. The invasions of the Avars and Slavs left Risan deserted. The last reference of a bishop in Risan dates back to 595. In the 10th century, the Byzantine emperor Constantine Porphyrogenitus includes Risan among the inhabited towns of Travunia, while the priest of Doclea considers Rissena to be a district. During the Middle Ages, Risan lost the significance it used to have in the ancient times. In the mid 15th century Risan was referred to as the town of Herceg (duke) Stjepan. In 1466, the Venetians offered to give Brac island and a palace in Split to Herceg Stjepan, in exchange for his two towns (Risan and Novi) in the Boka Kotorska. In 1482, the Turks took Risan, together with Herceg Novi, from Herceg Stjepan’s son Vlatko. Only in 1688 Risan became Venetian as part of the Albania Veneta with the Venetian name of Risano. In the following centuries Risan has had the same fate as the whole of Dalmatia. Actually it is part of the newly independent Montenegro. In the present-day Risan, there are no elements that could connect it to the medieval town. Risan by the sea was probably just a settlement. However, on the Gradina hill, above the famous archeological site of Carine, a fortification is situated containing remains of an Illyrian-Greek acropolis, as well as the medieval and Turkish stratum. The position of the fortification was excellent, particularly for the control of Risan – Onogošt route, while the hilltop itself was inaccessible. 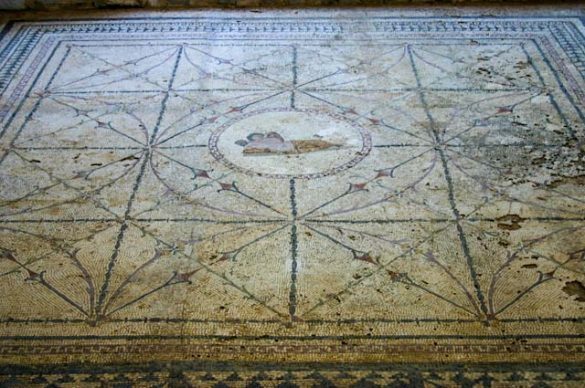 Risan mosaics — The Roman Mosaic Villa, dating back to the 2nd and early 3rd centuries, is located in southeastern Risan. A total of 5 mosaics have been preserved. The most famous of the mosaics shows Hypnos, the god of sleep. Banja Monastery — On the road from Risan to Perast, along the coast of the sea lies the Banja monastery. The history of the monastery is related to Stefan Nemanja who lived temporarily in the 12th century. It is thought that the monastery has been named by the Roman bathrooms, which fell into the sea in one of the serious earthquakes, together with ancient Risan. kingdom, harbors the least historic remainings than the other historic cities of the Bay. What Risan himself has going for itself is that it feels the most like a seaside resort of all the cities in the Bay. Where these also offer opportunities for swimming and sunbathing, Risan has a pebble beach in the center of the town, which partly runs alongside the coastline. The deeper hidden location in this corner of the Bay ensures that the passing ships going to the direction of Kotor sails far from the coast. Here is the only large building in Risan the Hotel Teuta which is located directly on the pebble beach. The tourist growth has had less influence on Risan than on the other places in the Bay. Large-scale projects have so far failed to materialize and the investments have mainly focused on renovations and smaller forms of accommodation. Pajo Apartments – Pajo Apartments enjoys a central location in the quiet historic town of Risan. It is just 50 meters from the sea and offers air-conditioned apartments with free Wi-Fi. All accommodation includes satellite TV and a sandy beach is 80 meters away. The apartments all have a sofa and a private bathroom. Free public parking is available nearby. A traditional tavern is right next to the property and a supermarket is just 40 meters away. Pajo Apartments can assist with bicycle and car rental arrangements. The property also offers laundry services. The main bus station is just 50 meters from Pajo Apartments. Facilities : Free Wi-Fi, Free Parking, Terrace, Garden, BBQ Facilities, Pets Allowed, Airport Shuttle (surcharge), Car Hire, Bicycle Rental (surcharge), Ironing Service (surcharge), Laundry (surcharge). Rooms Banićević – Rooms Banićević is located 300 meters from the center of Risan and 400 meters from the beach. It offers a shared furnished patio and a shared kitchen. Free Wi-Fi and free private parking are also available. The rooms each have a wardrobe and a shared bathroom with a bath. Some rooms include a refrigerator and a dining area. Facilities : Free Wi-Fi Internet, Free Parking, BBQ Facilities, Terrace, Garden, Airport Shuttle (surcharge). Sunbathe on the beach, or visit the Roman villa with mosaics, dating from the 2nd and early 3rd centuries, located in the southeast of Risan. 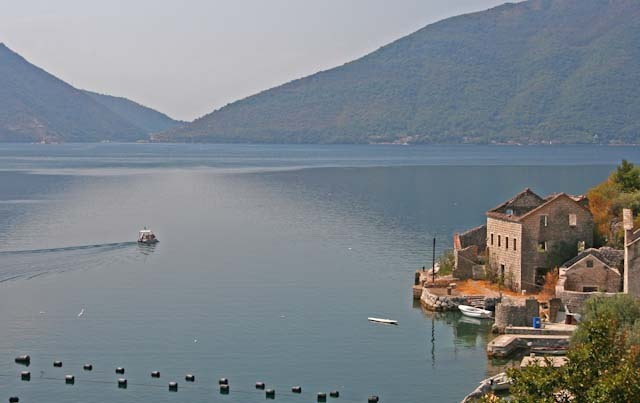 Access by bus and car from Kotor (20 min drive) and Herceg Novi (35 min drive). Risan is one of the places to be operated by any bus, from Kotor to Herceg Novi and vice versa. Risan is 18 km from Kotor. Walking from one end to another is a mere 15-20 minute walk, so other options than this are not really necessary. Lovćen national park — Mount Lovćen rises from the borders of the Adriatic basin closing the long ang twisting bays of Boka Kotorska and making the hinterland to the coastal town of Kotor. The mountain has two imposing peaks, Štirovnik (1,749 meter) and Jezerski vrh (1,657 meter). The mountain slopes are rocky, with numerous fissures, pits and deep depressions giving its scenery a specific look. Standing on the border between two completely different natural wholes, the sea and the mainland, Lovćen is under the influence of both climate. Herceg Novi — take a walk on the 6km-long 5 Danica’s esplanade to meet with the rich and diverse history of the town. Prcanj — small family-friendly place with great view of the Boka Kotorska. Kotor — an ancient fortified town located deep down the Boka Kotorska bay, and an UNESCO World Heritage Site. 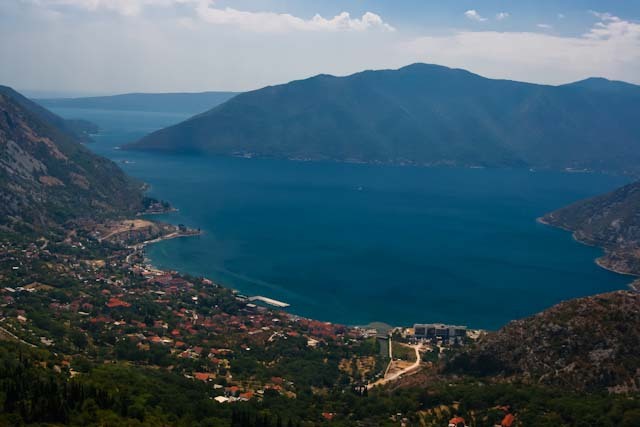 Tivat — a small town, quickly emerging into a major touristic, business and transport centre. Located in the vicinity of the Tivat International Airport, in summer 2014 it became home of a luxury yacht marina called Porto Montenegro. The Island Gospa od Skrpjela — . The Island Gospa od Skrpjela is one of two gorgeous islands in Kotor Bay, which are situated in the bay across from Perast (in the Kotor municipality). The other island, which also should be visited, is the island Sveti Djordje (St. George). As the island had to be maintained, seaman continued to bring in stones, so that tradition is alive even today. It is called Fasinada from Perast (July 22).